The most desirable area in Richmond centre area. Well maintained complex and unit shows as new. Over 1,300 sqft of living space. Spacious 9' ceiling on main, oversized decks, huge side-by-side garage. Oversized gourmet kitchen. Cozy living room features gas fireplace. 3 bdrms + 2.5 baths. Master bdrm w/ensuite and walk in closet. Built to last exterior finishing are hardy panel w/board & detailing & easy care vinyl siding, class "A" fire rated asphalt shingle. Ferris Elementary and Richmond High. 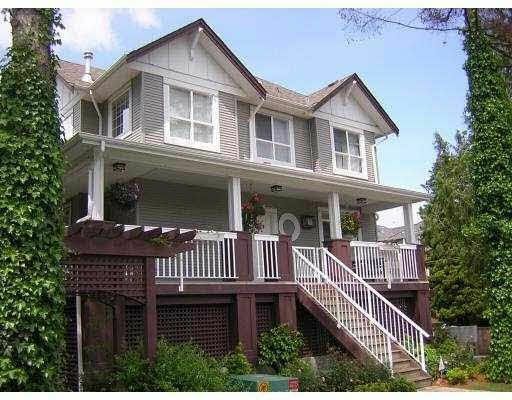 Walking distance to Richmond Centre, Richmond library, Aquatic centre, schools and Skytrain. Nice & quite neighbourhood. Best location! Must see!